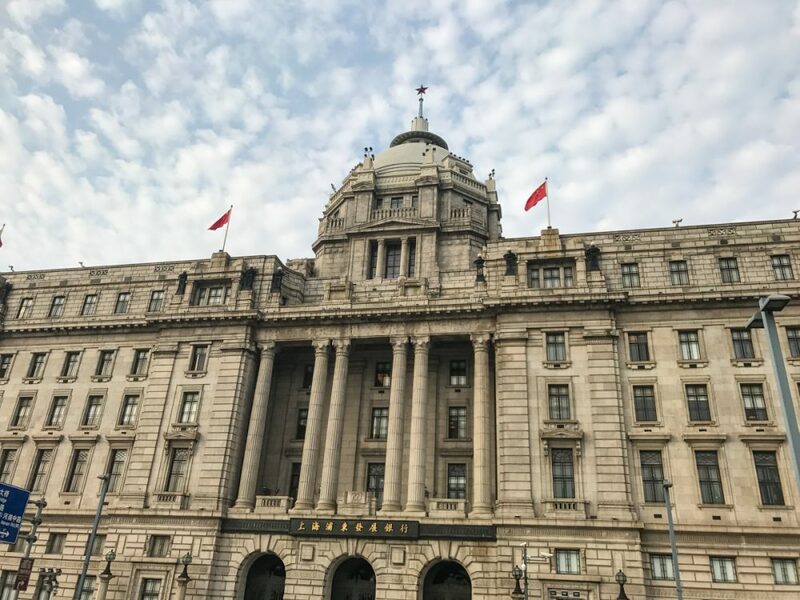 It may be touristy, but strolling along the Bund is both beautiful and jaw-dropping. Visit before 8am to avoid the crowds, if you can. Bafflingly kitsch, the tunnel train is part theme park ride, part commuter transport, part hallucinogenic sensory room. You travel in a small gondola-esque compartment that would fit around a dozen people (though I was alone), and are then shuttled to the other side in a way that would be completely unremarkable were it not for the bizarre lights, smoke, lazers and decorations attempting to turn it into something resembling a parade of christmas lights. It’s hard to explain. Just do it. I was walking down a side street, peckish, when I noticed a large crowd at a tiny unassuming stall. 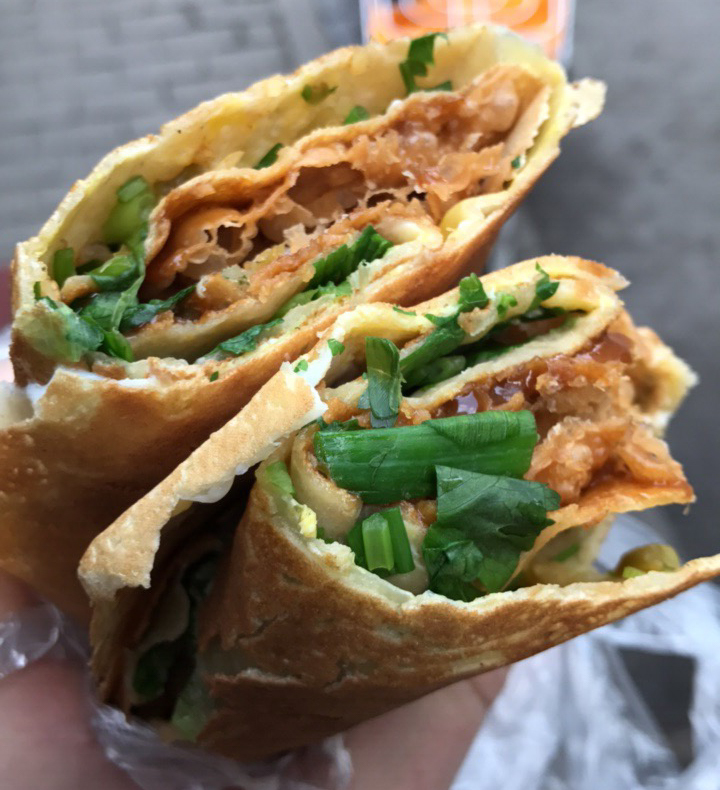 The vendor was using a spinning hot plate to cook a kind of crepe I later found out is called a “Jian Bing”. Unable to communicate, I managed to mime a request for her to make me the same thing the person before me had eaten. The cooking process was mesmerizing – here’s a YouTube link – and the delicious final product cost me an incredible 70 cents US! Besides the great wall, this serendipitous find ranks as my single favourite experience in China. 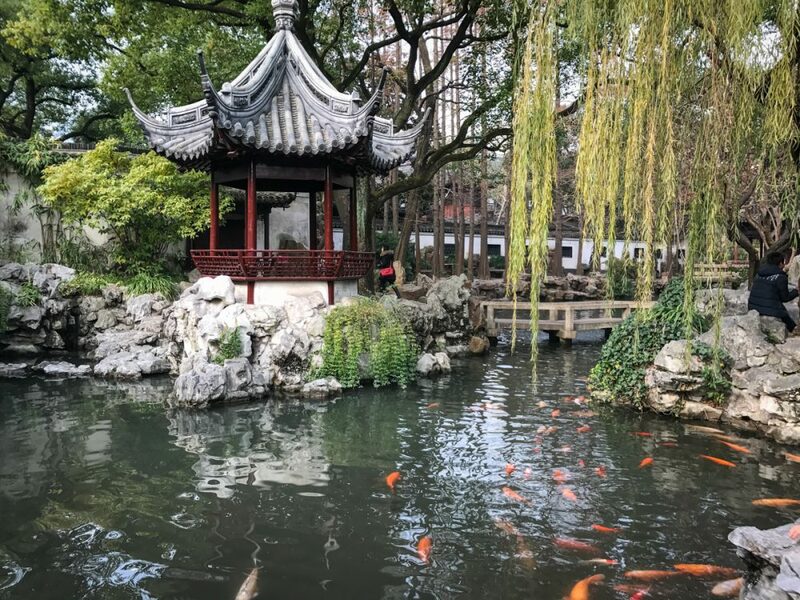 This traditional Chinese garden is nearly 500 years old, and I dare you to visit without feeling tranquil. 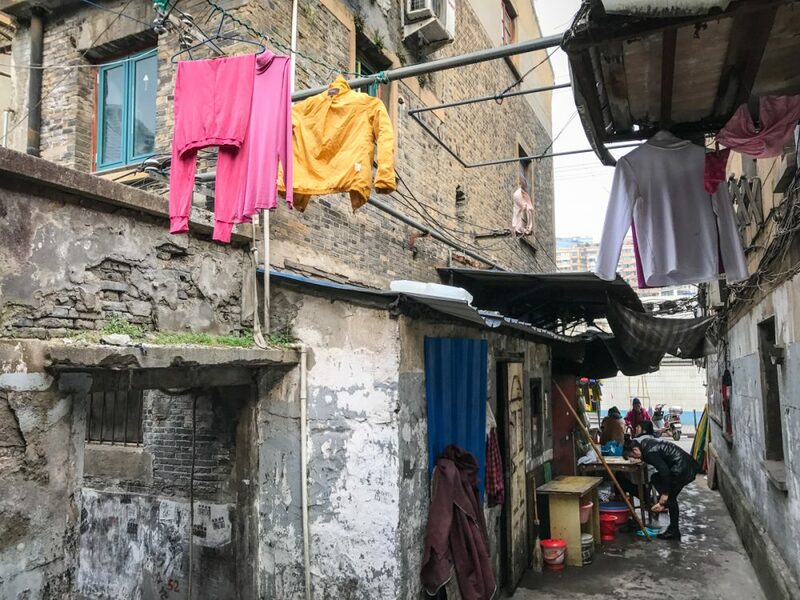 Hutongs are narrow urban alleyways with dense housing, and it can be fascinating to observe people going about their daily lives in a completely untouristed environment. I found a great food tour promising “the best soup dumplings in the city” with a small company called “Shanghai Foodie“, owned and operated by my guide Jim. For several hours we walked from one unassuming restaurant to another, sampling more kinds of dumplings than I knew existed – and the best beans I’ve ever tasted. While we ate, Jim told me about growing up in China and about how his family encourage him to get a government job, but he’s so passionate about food that he’s instead determined to develop his fledgling business. One of the things that surprised me about Shanghai was that many of its buildings are indistinguishable from those you’d see in a major European city. 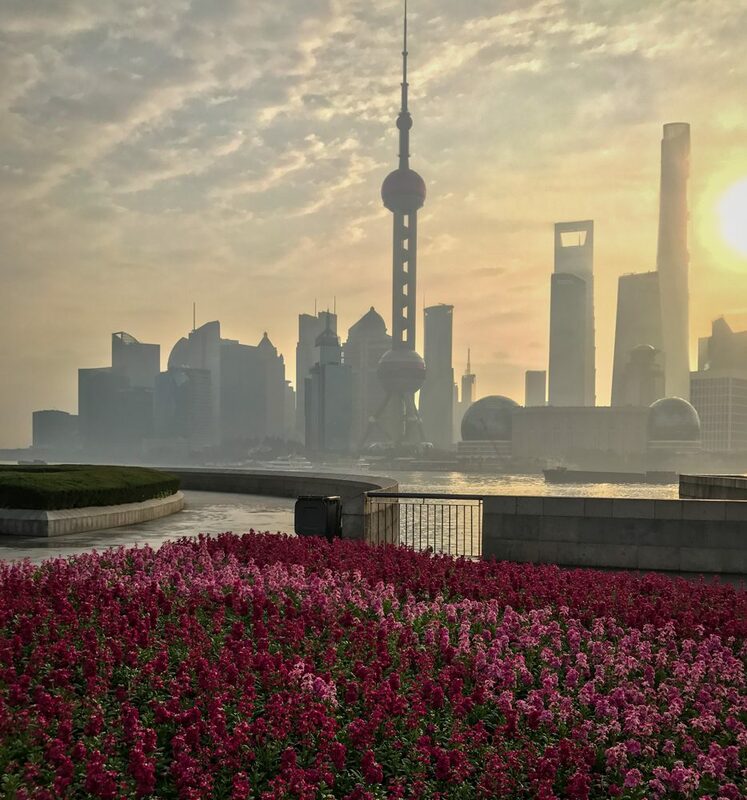 Shanghai definitely represents modern China, and it’s vastly different from the rest of the country in that way. 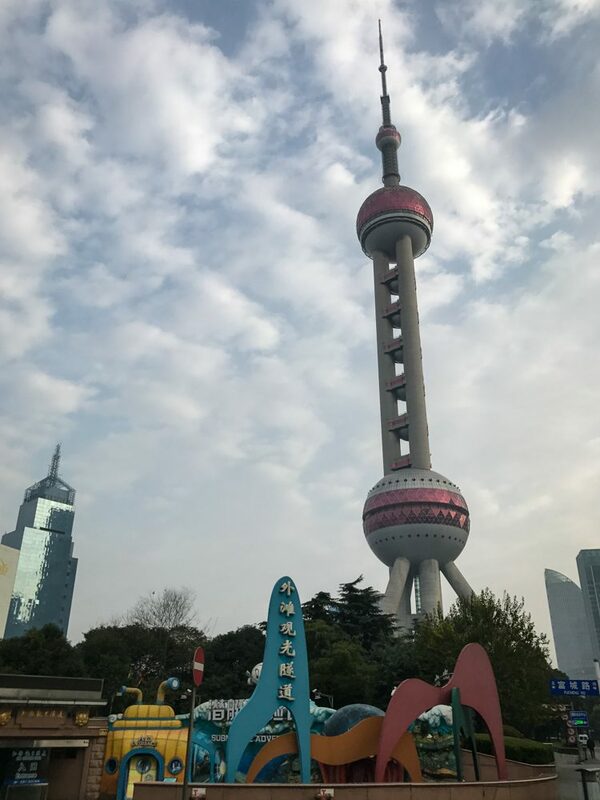 If you have enough time (I had another transit day on my return flight), the newly opened Disneyland Shanghai is well worth a visit. 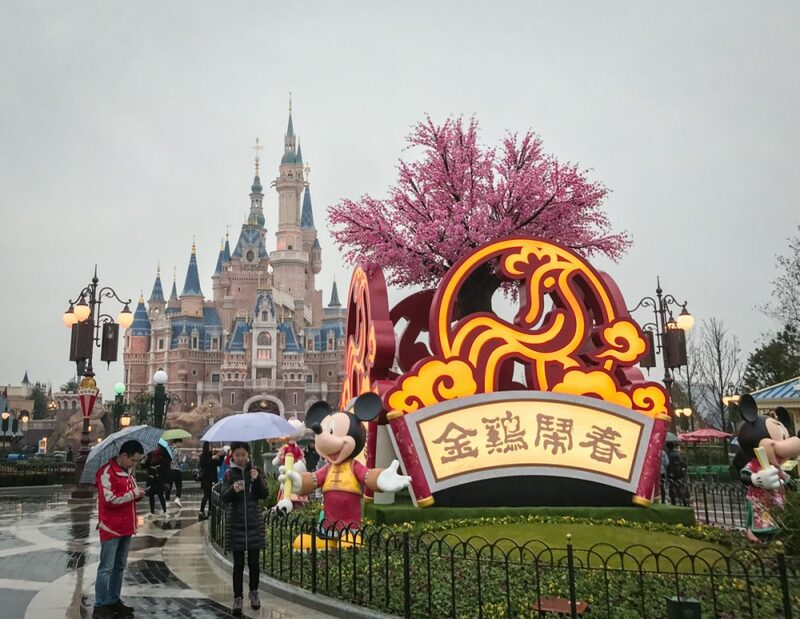 On the day that I visited, a steady drizzle kept the crowds at bay and I had wait times under 10 mins all day. Arriving at opening, I ran straight to the adrenaline rush Tron motorbike coaster (here’s a video) and managed to be not only the first rider of the day, but to ride the coaster alone, on the front bike! The other highlight was catching The Lion King in Mandarin – the guy who sold me a ticket thought I was crazy, but I had a blast. This fleeting trip to China wasn’t nearly enough to satiate my appetite for the vast and fascinating country, but considering it was either this or stopping over in LA again, I’m really glad I opted for the less obvious route. Even if it was 10 additional hours of flight time in both directions. Yeouch.